Three free utilties to keep you safe on the net. Scan your computer online for viruses with this F-secure free scan. 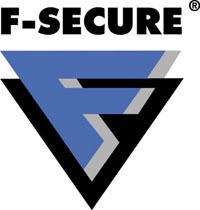 As you know F-Secure is a highly reputed internet security provider based in Finland. It is always good to scan your pc with more than one anti-virus since one might detect a virus the other can't. But as you know having two anti-virus suite installed on your Pc might lead to a clash. So instead you can always have one installed on your Pc and utilise the online scan provided by another. So take advantage of this free scan folks. * Microsoft Internet Explorer 6.0 or higher. * You need to have ActiveX enabled. If you guys remember, it was a netcraft tool bar user that spotted the fake myspace page that was used for phishing and reported it. Netcraft has been around since a long time and they are the people who keeps tab of all the phishing sites and the new Opera 9.1 which is slated to be released soon will also have a anti-phishing (or anti-fraud) feature that checks the live database constantly updated by Netcraft. So when you use a tool bar utility provided by one of the masters of anti-fraud technology you can be sure that you are at least one more step closer to being fully protected. 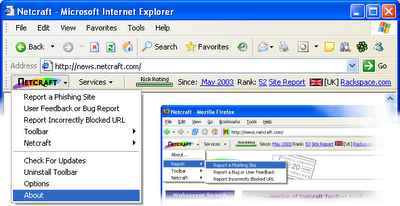 Download the netcraft tool bar. I would say that this is definitely one of the best firewalls out there. Steve Gibson, one of the pioneers in the field of security constantly keeps tracks of the security issues through this site grc.com and his Gibson Research corporation has been backing Zonealarm. It is one of the firewalls that has passed his leak test with flying colors. And moreover it is very user friendly so for home users who does not know much about the technicalities this is a very easy to handle firewall. This is one of the firewalls that keep your ports stealthed on the net. A stealthed port means anyone using a port scanner with a malicious intend will never even see that such ports exist on your machine and because of that they won't be able to see that your machine exists on the net. ZoneAlarm is free for individual and not-for-profit charitable entity use (excluding governmental entities and educational institutions). Or visit the publisher's website. Also, check out the step by step guide to configuring ZoneLlarm. Everything you want to know about Phishing attacks. tools and articles that will help you stay safe on the net. Since this site is new am constantly updating the contents. So check regularly for updates folks.